A unique and exciting opportunity exists for a registered nurse to progress their career by joining a multi-disciplinary team of health professionals as a Care Manager, delivering a new and innovative model of chronic disease management in a primary healthcare setting. 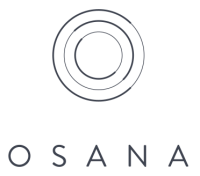 Osana is a patient centric model of healthcare based on proactive wellness. Patients are encouraged and supported by a team of clinicians and health professionals to engage in health-related seminars, community activities, patient groups, health coaching and coordination. A Care Manager will be working within a small team which includes a GP, a Registered Nurses and Health Assistants to conduct health assessments, draft care plans, ensure all preventative care is actioned according to clinical guidelines, review patients via face-to-face and/or telehealth consultations, conduct home and aged care facility visits, and liaise with specialists and other service providers. Coupled with practice nurse duties such as; triage and assessment of patients; wound management; assisting with minor procedures; maintaining recall and reminder system; cold chain management; infection control management, the position provides varied and fulfilling role. Be part of a dynamic team that will embrace digital tools, data analytics, behavioural economics to transform service delivery in health care. Applicants must have the right to live and work in Australia.